Star Wars Jedi: Fallen Order will be shown off soon, EA promises "it's exceptional"
If you're able to draw yourself away from Apex Legends for a moment, Electronic Arts has just revealed more information about another hot Respawn Entertainment game releasing this year, Star Wars Jedi: Fallen Order. In its annual Q3 Earnings Call to shareholders, press, and the general public, publisher EA announced that it intends to reveal more about the action adventure game set in the Star Wars universe very soon, within the next few months. This news came from the mouth of EA's COO Blake Jorgensen, who also stated that he himself has already played about 20 minutes of Star Wars Jedi: Fallen Order, calling it an "exceptional" journey into the iconic sci-fi universe. 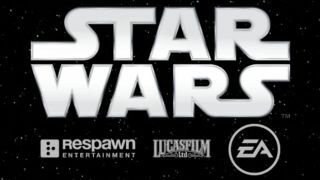 Respawn's first Star Wars game is due to release sometime later this year for PC, PS4, and Xbox One, and - other than the fact that it's an action adventure set in between the events of Revenge of the Sith and A New Hope - we still know very little about what the experience entails. That looks like it's about to change, though whether we'll see anything before E3 2019 is questionable, as historically EA has enjoyed using this platform as the place to reveal its landmark games in all their triple A glory. Star Wars Jedi: Fallen Order isn't the only title still in the works at Respawn either, as the earnings call also mentioned a "premium" Titanfall game arriving later this year, as corroborated by studio head Vince Zampella. Titanfall 3? Titanfall VR? Titanfall Kart?! Hopefully it won't be too long until we find out more. Star Wars Jedi: Fallen Order is just one of several new games of 2019 on the way this year; see which others might be worth checking out!